Recent storms devastated the electrical grid of Puerto Rico. Virtually the entire island is without power. That’s over 3 million people without electricity, water, etc…. for months to come. Consider what life would be like for you were that to happen where you are. How long would your life be? How long would the lives of your loved ones be? What kind of life would you be living if you survive? The electrical grid of all our nations are vulnerable to the impact of a CME or an EMP. It is not unreasonable or melodramatic to make preparations against the day that something life changing happens to you. It doesn’t have to be on the level of a CME or EMP. It could be a storm, earthquake, fire, etc. It’s always someone else… until it’s your turn. Think about what you can do so that you can stay on your feet and move, so that you won’t be a burden to others, so that you can even be an aid to someone else. NB: If material preparations are important, spiritual preparations are even more important. You don’t know the day, hour, minute when you will be before the Just Judge, the King of Fearful Majesty and your soul is laid bare. Your every deed, every word, every thought, every omission will be exposed to perfect view and judgment. Nothing will remain hidden and God cannot be deceived. The Judge will give us justice whether we want it or not. But His saving mercy is always there for the asking, provided that we ask for it… while we still can. Once you die, that’s it. You go before your God and your eternal fate is sealed. This entry was posted in GO TO CONFESSION, Semper Paratus and tagged preparedness. Bookmark the permalink. 5 Responses to Devastated Puerto Rico makes you ponder. PREPARE and GO TO CONFESSION! Please consider sacrificially giving to help our fellow human beings! Maybe our president has dropped the ball, but as Christians, we are responsible for each other. Please help today! 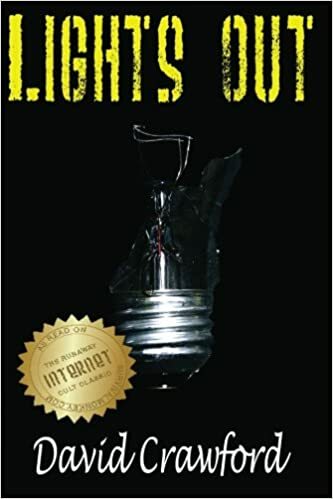 Read “Lights Out” by Ted Koppel. A sobering read. [There’s Lights Out by David Crawford about an EMP that takes down the electrical grid over most of the world. 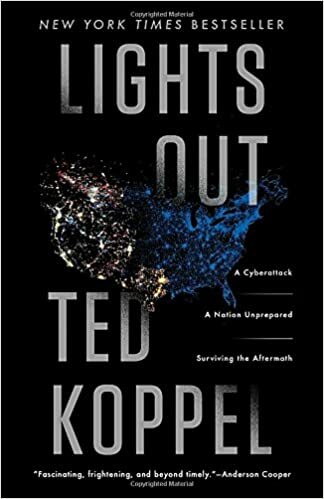 And there’s Lights Out by Ted Koppel about a cyberattack. During the last two weeks the usual suspects blamed Puerto Rico’s predicament on Pres. Trump’s laziness, racism, dropping the ball (whatever that means), and even colonialism. Leftist talk-show hosts, “news” outlets, and the ridiculous mayor of San Juan often appeared unaware that hurricane-force winds, tidal surge, and torrential rain can result in casualties and damage. Any President micro-managing the Departments of Defense and Homeland Security would hinder, not speed, relief efforts. “Elpidio Fernandez, who sells coconut and passion fruit ice cream from a pushcart in San Juan, has a supplier with a generator and says business is booming. He has made up to $500 on some days since the storm.” Sure, this is just one news item, and certainly there are people in Puerto Rico requiring medical assistance and resupply of food and water. But, Puerto Rico is not “hell on earth” either. “Christian Mendoza said the car wash where he works is closed so he has been selling bottled water — even though it’s not refrigerated.” Well, no doubt people are happy to have clean but non-chilled drinking water despite the reporter’s astonishment. On a network TV evening news show a female TV reporter gravely said with more than a hint of sadness, “And these women have to wash their clothes in the river.” Inconvenient sure, and no doubt feminists everywhere scowl at such an absurdity, but no hell on earth here either. On a news show a talking head said rather angrily, “The plan failed.” Someone was bound to say that sooner or later. Well, the military has long experience with disaster relief. In a nut shell, a plan is drawn up to provide a common point of reference, it’s further revised as the hurricane passes and troops move toward the area, and then revised as conditions change. Here’s a hypothetical example. Three days after a hurricane an engineer unit has been flown in and is mounting up in trucks to clear roads into the interior. Then a radio message arrives that orders them to stop. A weather forecast says a storm in two days will cause mudslides and threaten to collapse a dam. Therefore, in four hours helicopters (redirected from their own tasks) will begin transporting them to the dam site. Then there was a TV reporter who interviewed an upset woman who said, “The FEMA team was here, they said they’d be back, we haven’t seen them yet!” Ma’am, that’s good news. It means you and your family and immediate neighbors are OK for now, but someone else, or some thing else, requires immediate attention. Now, the excellent people of Puerto Rico have been through a powerful hurricane and have lost their power grid. There is still a ways to go with providing basic services such as sewage and electricity. The lack of communications and the wreckage strewn about street and countryside can be disorienting and distressing. Some survivors can handle stress and trauma more capably than others. Some can control their impatience better than others. Rebuilding will be a long and difficult task. The U.S. is far larger than Puerto Rico, with far more people. There are simply not the resources to provide assistance to all in a timely manner if the U.S. was struck with a Super EMP attack. Some experts estimate the casualty rate could approach 90% within 18 months due to factors such as starvation, disease, infection, unsanitary conditions, exposure to the elements, and violence. Spiritually and materially prepared groups and communities, with a self-reliant mindset and knowledge of agriculture and medicine, will be of long-term assistance to all.